Burlington Telecom Archives · Stop the Cap! Burlington Telecom, the troubled publicly-owned fiber broadband network for Burlington, Vt., is working on a comeback by finally boosting its speeds well beyond what competitors FairPoint Communications and Comcast can offer residential broadband subscribers. Stop the Cap! previously recommended BT consider offering faster speed packages that give subscribers a compelling reason to switch from Comcast or FairPoint. Community broadband providers with fiber optic networks need to leverage those superior networks to drive new customers to sign up, and BT certainly could use a influx of new business as it fights through its financial problems. We strongly recommend BT consider boosting its 40/40Mbps offering to at least 100/100Mbps at the $100 price point to better compete with Comcast’s Extreme 105 tier, which offers 105/20Mbps for just $15 more per month. Pricing and speeds must be comparable with the cable competition to compel a customer to go through the hassle of changing providers, and most subscribers still don’t value higher upload speeds as much as download speeds. BT’s gigabit offering succeeds on all counts, but it is unlikely to draw a large percentage of customers willing to pay $150 a month for residential Internet service. Burlington Telecom offices in Burlington, Vt.
Citibank has sued the city of Burlington, Vt., and the city’s legal firm demanding municipal-provider Burlington Telecom hand back their fiber-to-the-home network and pay damages in excess of $33.5 million dollars. Citicapital, which owns the equipment that operates Burlington’s community network, says Burlington Telecom has defaulted on their lease payments, and has demanded the city “de-install and return” the fiber network — everything from set-top boxes and in-home wiring to ripping fiber cables directly out of underground vaults and off telephone poles. Citi also wants BT’s vehicle fleet turned over to them. Burlington Telecom has been a poster child of poorly-planned and implemented city-owned broadband, and a series of financial and operational scandals led state investigators to consider criminal charges for misappropriating taxpayer funds to sustain the network. While prosecutors ultimately declined to file charges, the resulting scandal in the mayor’s office has left the city with a network it stopped paying for, and the potential much of it could be auctioned off to the highest bidder, which could turn out to be Comcast or FairPoint Communications. Citicapital claims the city has not made a direct lease payment since November, 2009. The bank had been drawing down funds deposited in a special escrow account the city was required to open as part of the lease-to-purchase transaction. That account has also run dry, and the bank claims it has received no payments since May of 2010. “BT continues to use Citibank’s equipment and vehicles unlawfully and without its permission and continues to depreciate the value of Citibank’s assets in order to generate revenue for itself,” the bank’s attorneys charged. The lawsuit has city residents worried because attorney fees, and any resulting damages or settlement agreement with the bank, will likely run well into the millions of dollars. Every month the city remains in arrears, Citibank’s agreement calls for at least $235,000 in missed payment fees and interest. Taxpayers will likely cover most, if not all of that amount. Citibank wants their fiber back. Christopher Mitchell from Community Broadband Networks notes Burlington Telecom was an aberration in a country with many successful community-owned broadband networks. Among Burlington Telecom’s problems included overpriced, uncompetitive broadband service that never took full advantage of fiber’s speed and versatility. Earlier news accounts included speculation BT had trouble securing sufficient connectivity with a backbone provider to sustain faster speeds, but it left the company at a competitive disadvantage against incumbent cable operator Comcast. Burlington Telecom also failed repeatedly to build community support to establish a firewall against frequent political shots fired at the network as it became a partisan hot potato. The city promises a “vigorous defense” against the lawsuit, and observers suspect a judge will not order the city to shut the network down, because it would cease the only revenue stream the company generates that could be used to pay a negotiated settlement with the bank. Burlington Telecom (BT), the city owned-and-operated fiber-based cable, broadband, and telephone provider is mired in debt and is not financially viable in its current form. Those are the findings of a “blue ribbon” committee tasked with answering questions about the future of the financially-troubled municipally-owned provider serving 4,600 Burlington customers in Vermont. In an 11-page public report, the committee recommended the city partner with a commercial entity that would assume a majority interest in BT. As a minority stakeholder, the city could eventually recoup the 17 million dollar investment it has made in the company. Although some residents have lobbied the city to abandon the 100 percent fiber network to stem ongoing losses, the committee advised against it. But carrying forward as-is is not a good idea either, the report concludes. “BT is not viable in relationship to its current debt load of $51 million and its ability to generate earnings to repay this debt. BT cannot meet its principal and interest obligations at this time,” the committee concluded, noting that the company’s current business plan can’t meet future financial challenges either. As if to underscore that notion, BT this month asked the city of Burlington for a $386,000 loan from to make an interest payment to CitiLeasing by Wednesday, to prevent the company from technically defaulting on its $32 million municipal lease purchase. On Friday, a judge issued a restraining order forbidding such a loan unless the Vermont Public Service Board agrees. The committee noted that the reasons for BT’s financial problems weren’t rooted in its “first-class” fiber optic network, or its usefulness to the city. HBC found BT overpaid for its fiber network, spending $1,000 per home passed, when fiber build-out prices have dropped in the past few years. BT is spending too much money on customer installations. HBC reports BT could save more than $600 off the $1,600 the company pays to hook up each customer. The company uses the same door-to-door marketing company Comcast uses to get new customers. Additionally, BT contracts with a third party service company to handle installations and service calls. This work should be done in-house, HBC recommends, as paying a company based on how many installations are performed provides a built-in incentive to cut corners and quality. BT’s broadband products are too slow for a compete, handing incumbent cable provider Comcast an unnecessary competitive advantage. Fiber can blow cable modem service out of the water when competing on speeds, but BT foolishly charges too much money for too slow service topping out at just 8Mbps/8Mbps, for a whopping $71.80 a month. BT calls that “the ultimate Internet experience.” It’s not. HBC predicts broadband will become BT’s most important service, so it is critical for the company to make the product more attractive to customers. BT is mired in politics that has nothing to do with its service to the community, and it creates unnecessary distractions that commercial providers do not have. Some who oppose the municipal fiber project or the current city council use BT as a political football. Because it is a public entity, too much financial and strategic business information is open to public review, which includes BT’s competitors. That gives Comcast and FairPoint advance notice of BT plans, pricing, and growth strategies. Restructuring as a semi-private entity under local government oversight would help guarantee competitive business information stays out of the hands of the competition. BT lacks an effective marketing strategy to convince residents and businesses to change providers. Without a compelling lineup of services, and a marketing effort to sell them, customers will be reluctant to go through a disruptive switch to BT service. The provider’s bundled service packages are often compelling (a triple play with basic television and phone service only costs $89 a month, less than $20 more than standalone broadband service), but they often lack the services, speed, and channels consumers want. The company does not pay enough attention to customer service strategies. Customers complain BT does not accept cash payments from walk-up customers, who are told to return with a money order. From a confusing automated attendant that answers customer calls to inconvenient hours and appointment scheduling, BT needs to hire marketing experts to help restructure how it serves potential and subscribing customers. BT utilizes a 200-megabit backbone at a cost of $6,000 a month and a 350-megabit backbone at a monthly cost of $16,331. It is HBCs belief that backbone costs can be reduced considerably, as much as $6,000 per month should be saved through re-negotiation. Costs should be in the neighborhood of $25 to $30 per megabit, as compared to the $40 per megabit of speed now being paid by BT. HBC buys twice as much bandwidth per month than BT and pays only $7,000 more for the additional capacity. Finally, the company leaves a lot of potential earnings on the table. It doesn’t provide local-ad insertions on cable channels and doesn’t leverage its excess broadband capacity with businesses by selling them web hosting, co-location, and speed critical services. It doesn’t provide value-added services that cable companies now offer, such as caller ID on TV. The Burlington mayor, Bob Kiss, expressed skepticism at some of the conclusions in the committee’s findings. Kiss believes refinancing BT’s debt would give the telecom company more time to implement better marketing and service improvements, which could attract new customers and revenue. For Burlington business leaders, the entire affair is an embarrassment. Many believe significant harm will come from a city gaining a reputation for defaulting on its obligations. The conclusion many have reached is that Burlington Telecom was naively planned, without sufficient regard to realistic projections of expenses and revenues, and lacks expertise to effectively compete with other local providers. Building an advanced fiber network for your community is only as good as the services offered at a price that makes sense. Alienate customers with ineffective marketing or out of touch product packaging, and your future will be in doubt. 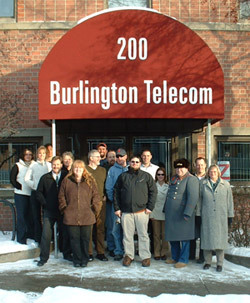 Read our complete coverage on Burlington Telecom. Burlington Telecom, the municipally owned fiber to the home cable and broadband provider still reeling from a late fall financial scandal, must think outside of the box if it is to survive and grow its business in Vermont’s largest city. That’s the assessment of Steven Shepard, president of Shepard Communications Group, a consulting firm based in Williston. It comes as both city and state officials continue an investigation into a $17 million loan from city coffers to cushion the provider from substantial losses incurred over the past three years of operations. Burlington Telecom has been criticized for underestimating the costs of wiring Burlington with fiber optics, something Shepard doesn’t think is unusual. 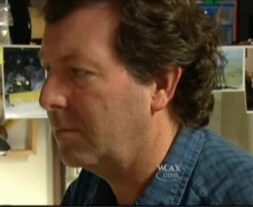 “I haven’t found one yet that has come it at budget, or even under budget,” Shepard told WCAX-TV news. Burns feels Burlington Telecom needs to expand its service area to bring in additional customers to help keep the provider up and running. Some customers recognize Burlington Telecom is a unique, municipally-owned asset that can potentially provide services that Comcast, the dominant cable provider in the area, cannot. 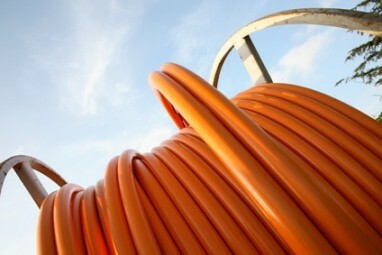 Comcast operates a traditional hybrid fiber-coaxial cable network with more limited bandwidth than Burlington Telecom’s direct fiber optic connection to the home can provide. But Shepard believes most consumers don’t know or care how service reaches them, and believes fiber optic networks alone do not bring instant success to providers. Unless Burlington Telecom creates services that would be difficult for Comcast to deliver, they are just another telecommunications company, Shepard believes. One suggestion from Shepard: an automatic file backup service. Fiber optics can provide upstream speeds equivalent to downstream speeds, something Comcast cannot easily deliver. Such a service would automatically send a copy of every file to a secured, encrypted off-site backup system. If a customer needed the file restored, or an entire hard drive, Burlington Telecom could transmit the files on request. Assuming privacy is protected, such a service would give consumers a potential reason to switch providers. For broadband customers, providing upstream and downstream speeds faster and cheaper than Comcast will go a long way towards motivating consumers to switch. She is not the only one complaining. Rob Lyman says he is “not happy” with Burlington Telecom’s service. “I watched a trailer for an on-Demand movie and the whole system froze up and required a reboot of BT’s box. When I called the help desk they said they’ve known about this problem for six months and didn’t know when it would be fixed,” he says. In mid-November, a possible solution to the funding issues came from Piper Jaffray, a Minneapolis-based investment firm. The company offered Burlington Telecom a $61.6 million dollar refinancing package that would help keep the company viable and return taxpayer funds caught up in the controversy to the city. The proposal was met with political wrangling from the Burlington city council, which spent the last month and a half doing damage control. “Once TelecomGate went radioactive in October, it was everyone for themselves on the city council as the finger pointing started,” Stop the Cap! reader Dwayne writes from Burlington. “The progressives are blaming the former Bush Administration’s economic catastrophe for wrecking the credit and financing markets BT needed to access, the Democrats are trying to play the role of moderates, and the Republicans are questioning why the city should compete with Comcast in the first place. Demagoguery is universal,” he shares. The rhetoric has grown so heated, it has stalled the city council’s approval of the loan package, to the disappointment of Mayor Bob Kiss. “I do not believe that keeping Burlington Telecom alive during the absolute failure of our capitalist system was the wrong thing for any of us to do. We can’t afford to sit around. We have an interest payment (for BT’s current $33.5 million outside debt) that is due in February.” — Marrisa Caldwell, P-Ward 3, a Progressive Party member characterized as a fierce supporter of Burlington Telecom, is upset the city council delayed the approval of the loan package. “I’m not going to engage in this kind of dialogue. It serves no purpose. We’re going to proceed with the investigation and work to resolve this situation.” — Deputy Public Service Commissioner Steve Wark, asked to comment on Caldwell’s remarks. “[On the city council’s lack of resolve and action] it’s erroneous and not well-founded. I never heard anyone say why they wouldn’t move forward (on the BT loan). It wasn’t leadership and (was) a lack of ability to collectively try to solve the problem.” Sharon Bushor, I-Ward 1, who generally supports Burlington Telecom. “This is ridiculous. Burlington is starting to look more and more like Washington, with the level of partisan wrangling reaching an intensity that I’ve never seen before in my 15 years of living in Vermont.” — One resident commenting on the coverage and the back and forth. Burlington city officials are mired in controversy over the legality of a recently revealed $17 million dollar unpaid loan given to Burlington Telecom, an apparent violation of the terms of its license issued by the Vermont Public Service board. While the municipally-owned fiber optic network is permitted to borrow money from the city, it must be repaid within 60 days, because the city charter insists that Burlington Telecom be an independently financed venture that does not become a taxpayer liability. Dubbed by some as TelecomGate, it has become a major media story in Vermont’s largest city. 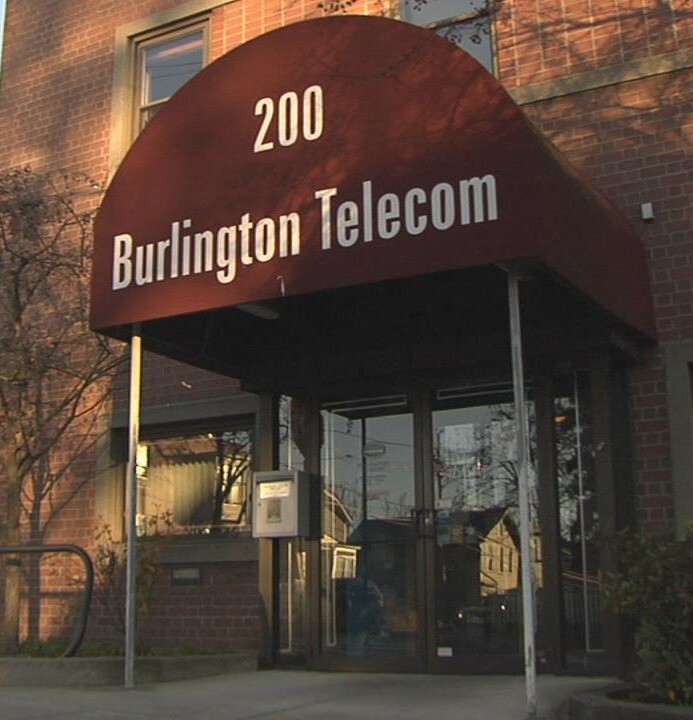 Some taxpayers are upset by the perceived “bailout” of Burlington Telecom after the company exhausted its commercial loans of almost $34 million dollars to construct a fiber network serving homes and businesses. The Burlington Free Press has reported the city began quietly funding Burlington Telecom as early as late 2007, for both capital expenditures and some operating costs. As of today, Burlington Telecom has an accumulated debt of $50 million dollars, $17 million of which is owed to the city. Burlington officials admit they underestimated construction costs, in part because they failed to complete a comprehensive engineering study prior to construction. Installing underground fiber cabling has literally hit a rock ledge, part of the geological character of underground Burlington, that will require an additional $10 million to cope with. The fact the public is just finding out about it now is a major reason for the controversy. Jonathan Leopold, the city’s chief administrative officer, said he learned that the financing violated the company’s license terms last November. The Free Press reports he only informed the city council responsible for overseeing the operation in May of this year, six months later. The city council itself waited four months until late September before it notified Vermont state officials about the apparent violation, which led to the matter finally going public. City council members have scurried for cover after the local press revealed they approved Burlington Telecom’s funding 13-1 at a city council meeting held October 5th. That may serve to back up Leopold’s position that he never hid any details about the loan arrangements — city officials and lawyers were well aware of these transactions, he says. Several public venting sessions were rapidly scheduled to allow constituents to express their concerns. The Burlington Free-Press editorialized that the city can no longer keep information about city-owned Burlington Telecom’s problems and violations from residents by saying the secrets are necessary for business reasons and is calling for an independent investigation and audit. State and local politics have also become deeply ingrained into the debate, with accusations flying between political parties that the flap has now become more about undermining the current administration than ferreting out and resolving issues with Burlington Telecom. 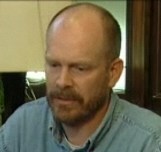 Leopold, whose administration duties involve Burlington Telecom, and who has been the most visible figure in the middle of the dispute, called attacks on him by some local politicians part of a scapegoating witch hunt. Caught in the middle is Burlington Telecom and its 4,600 subscribers. The provider is in apparent violation of its license for its loan arrangements, needs additional money to complete its buildout, and will likely also be cited for not completing that buildout on the schedule it committed to as part of its license to operate. Too often municipal broadband projects end up as political footballs kicked all over town, especially when controversy erupts. Burlington Telecom made a crucial mistake when it failed to undertake a detailed engineering study to determine the true costs of wiring Burlington with fiber optics, something incumbents Comcast and FairPoint have not been willing to undertake. A true picture of the start-up costs would have resulted in a better understanding of initial construction costs and the financing required to pay for it. City officials also erred in how they began funding some of the costs to administer the system after initial financing ran out. Good intentions or not, the fact there is a perceived cover-up makes things much more attractive to a media that often ignores or buries telecommunications stories on the business pages. A frank and open discussion explaining the challenges and resolutions to them might have brought about temporary city loans with the consent of the community, without melodramatic political theater. 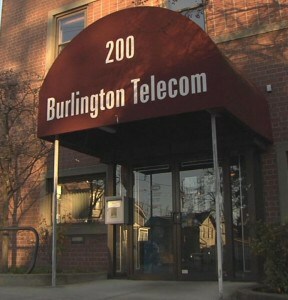 Residents have a unique buy-in with Burlington Telecom because it’s municipally-owned. Many would be more than willing to see that and some additional investments pay off instead of collapsing with a complete shutdown. When the story broke, the usual and very predictable campaign of finger-pointing, ducking for cover, and scapegoating began. This time-honored political damage control method is voter approved, if you stick your finger to the wind and see where voter sentiment seems to be blowing. That’s precisely what state Commissioner O’Brien did, only he overplayed his populist hand. This is, after all, the same commissioner who initially made excuses on behalf of FairPoint and seemed all too willing to give that company the benefit of the doubt, right up until it became politically untenable. You cannot be a credible torch-bearer in a populist mob if you helped build the castle you now seek to burn to the ground. Mayor Kiss was correct in calling O’Brien out, not just for his convenient criticism, but for trying to win the Self-fulfilling Prophecy Award by predicting Burlington Telecom’s demise. Vermont residents should ask him where his clairvoyance was when he was publicly stating FairPoint was doing “pretty well” a year ago. O’Brien needs to be part of the solution for a change, not part of the problem. Leopold appears to be a classic scapegoat. As he struggled to keep Burlington Telecom afloat, it is inconceivable he was cutting loan deals without the knowledge and consent of others in the city administration. The same city council now demanding his suspension seemed all too willing to go along just a few weeks ago when it voted almost unanimously with going forward. That speaks volumes. But when the media lights fire up, and angry residents start writing and calling, the complete turnaround is a site to behold. A series of self-serving, concern trolling speeches followed, along with complaints they were never given enough information or were confused by what they heard. If that is the kind of leadership Burlington has, perhaps residents need to consider making some changes. The public has a right to be upset, but are all too often satisfied with the political theater designed to quickly “resolve” the problem by expelling the designated scapegoat from their midst. Mayor Kiss has remarkably withstood the usual pattern very well thus far. While the politicians play “not my fault,” Burlington Telecom customers need answers to know if their provider is endangered. An independent audit and review, free of political know-nothings would be a start. How about bringing in those with actual expertise in deploying municipal networks. How about excluding involved, self-interest-protecting elected officials, especially those who had any hand in the FairPoint debacle. It’s also time to fund that engineering study for the unwired portions of Burlington to get a true cost analysis. 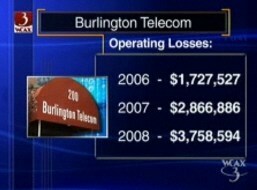 A review as to why Burlington Telecom is not attracting a larger segment of the market is also needed. In broadband, at least, that’s a no-brainer. Burlington Telecom’s speeds on the download side are too slow and too expensive. Comcast offers faster downstream service at lower prices, so why would anyone want to switch? 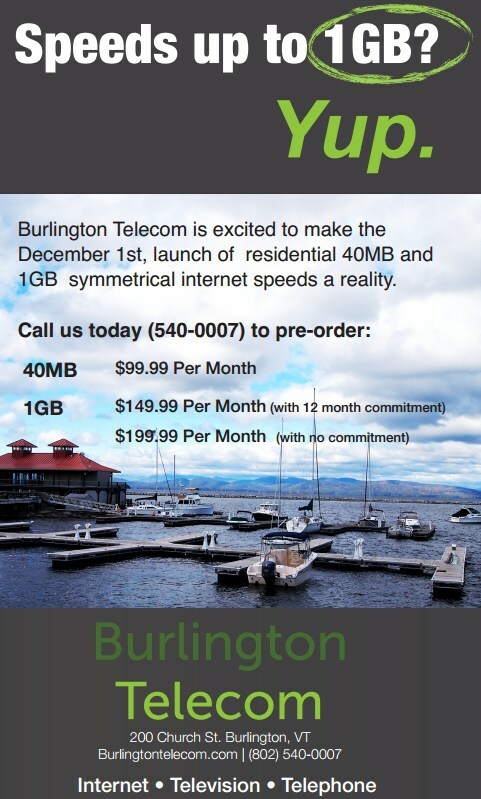 Burlington Telecom is trying to market their synchronous speed network (your downstream speed and upstream speed is the same), which would normally be appealing to a segment of Internet customers frustrated with cable and DSL shortchanging them on upload speeds. But the customers who understand and appreciate the difference will not accept a broadband service that tops out at 8Mbps for an enormous $71.80 a month. That’s far too slow and too expensive when Comcast is offering 12Mbps/2Mbps (upload speed with PowerBoost) for $42.95 per month. Service for 16Mbps/2Mbps is $10 more, still twenty dollars less than Burlington Telecom is charging for half the speed. Burlington Telecom can attract a larger base of broadband customers by accelerating speeds on their network beyond what Comcast provides. Municipal broadband projects can be successful, but should be based on a true and honest appraisal of the costs, a complete understanding of the competitive landscape, a flexibility to respond to changing markets, and a good reason why they should exist in the first place. Fulfilling the needs residents want, but incumbent providers will not provide is always the best answer. Customers don’t want anemic broadband at high prices. Provide that and a municipal broadband project will fail, even without political grandstanding and finger-pointing. Below the jump, find a one hour video interview between The Burlington Free Press and city officials on the Burlington Telecom matter.